mitsukibo – Page 48 – Create. Read. Update. Delete. 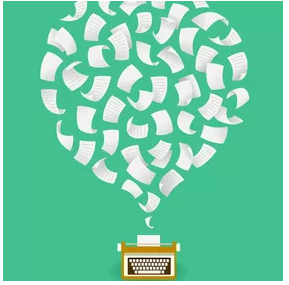 Writing content, or copywriting, is as much an art form as it is a skill. While you want to engage readers with snappy imagery, it’s also important that you publish content that is packed with elements that will help you improve your website’s ranking. 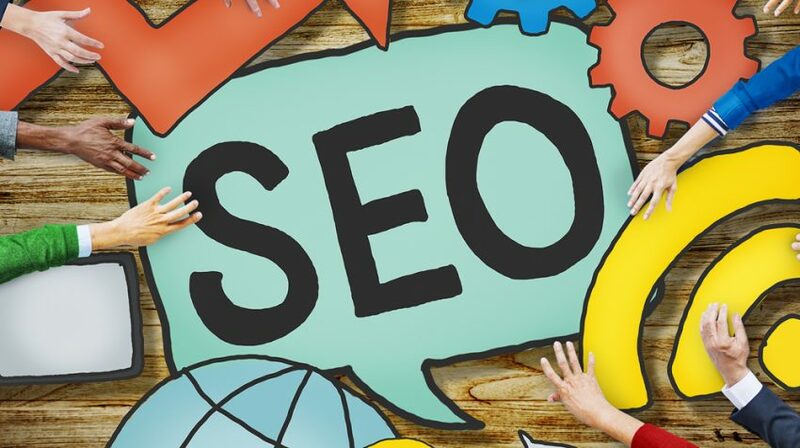 SEO stands for Search Engine Optimization, and these three letters are responsible for a world of stress and confusion among online businesses, especially those who don’t have a tech guru on staff. Whether writing for your website, blog, or social media page, there are some basic fundamentals which will help you improve your search engine rankings, boost your website traffic, and generate more leads. Here are nine SEO copywriting tips that will help your online business excel in every area possible. There is a lot of content published online. On WordPress alone, there are 58.3 million new posts published each month and more than 409 million readers. As an SEO copywriter or publisher, the first thing that you need to know is that not all of these are your readers. In fact, just a small fraction of them are, and it’s important that you spend some time identifying your particular audience. What are the demographics of your audience? What primary problem is your audience trying to solve? Can you leverage trending topics and recent customer experiences to come up with interesting writing topics? Tell your readers a story, inspire them, and make solving their problems simple. While your content should be legible and engaging, your title really needs to “pop” and entice people to click. Believe it or not, this could have an effect on your search engine rankings. Rand Fishkin from Moz did a study a few years ago on the impact of queries and clicks on search rankings. He asked people on social media to search for a particular term and click on a specific result that was ranked #7. Within a few hours, the result had moved up to #1. So, how do you garner attention for your title? Make sure that it is short and to the point. People tend to be drawn to lists (the top 10, 3 reasons, 5 benefits, etc.). Posing questions in a title also works well. Consider using emotional triggers in your title by stating a benefit. Power words and controversy have also been known to get attention and clicks. As you come up with your winning title, you’ll want to make sure that you’re including your main keyword in your title and title tag for your page. Google’s ranking factors tend to fluctuate but there is a list of 200 ranking factors for a web page, and this element is one of them. Where you place your keywords in your title tag also makes a difference. According to Moz, the optimal format for a title is to have the keywords at the beginning. They even have a fantastic title emulator tool. This brief SEO studywas also done that confirms the importance of keyword placement in titles. LSI keywords are “Latent Semantic Indexing” keywords. These are terms that are not semantically related to your primary search term, but that have similar meanings. They can be synonyms but aren’t limited to these as it can be based on trends as well. For example “virtual reality” is now considered an LSI keyword for the search term “Oculus Rift.” If you were to look this up a few years ago, this wouldn’t have been the case. As this can be a real brain-teaser for some, there are some online LSI keyword generators that can be extremely helpful in this process. The content of your post could be explosive and well-written, but if it’s unorganized and difficult to view, you’ll lose readers fast. Graphic design is now a useful element in content publishing as the look and feel of the piece matters almost as much as the substance. To accomplish a winning structure, keep paragraphs and sections short. Smaller blocks of text are easier for readers to digest and appear friendlier. Also, consider using numbered or bulleted lists within your content. Don’t make your entire piece a bulleted list. This is too much. Rather, break up content into distinct sections. Finally, use subheads to segment and break up content when it’s appropriate. Another great way to break up content and make it more readable is with the use of images. Human beings are visual by nature, and most of us are drawn to eye-catching images on a content page. When images are used, they should be relevant to the content and optimized for SEO. Images can be optimized by adding alt text, captions, file names, and by reducing file size so that they load quicker. Images found on Google Image search can often bring additional visitors to your website. According to Search Engine Watch, you can gain this extra traffic and improve your rankings by takingthese simple image optimization steps. The number of times that a keyword, or keyword phrase, is used on a web page used to be incredibly important to copywriters and online publishers. Paying too much attention to this metric today could be a mistake. If keyword density is too high, Google may impose a penalty for stuffing. As most marketers will tell you after years of research, keyword density hasn’t been proven to be a ranking factor, so it’s best to ignore this in copywriting. A better focus is the creation of interesting, readable content that captures the focus of your visitors, making them want to take some desired action. Despite what happened with the flood of spammy sites and link building scams several years ago, links in content are not bad. In fact, the proper use of backlinks can be beneficial to your search engine rankings. This is accomplished in two ways. Add a few internal links to other relevant pages on your website. Another way to link in content for SEO is through external links to trusted sites. If you quote a study or other industry authority in your content, provide a link to that content using relevant anchor text. This not only provides readers with references, but it also helps your site rank better when you link to credible sites. Reboot Online conducted this very extensive experiment in early 2016, which proves that outgoing links to trusted sites improve search engine rankings. Readers are ready to click on and read content that is relevant to what is “hot” in the world right now. While you may wish to avoid controversial topics such as politics and religion, there are a host of other trending topics that you can incorporate into your writing. If you have a particular keyword that you wish to focus on, you can set up a Google Alert with email notifications for fresh news stories. Other helpful sources of trending news include Buzzfeed Trends, Reddit list, Hashtags, and Google Trends. Writing for SEO takes planning and skill. While the content needs to be captivating and relevant to your audience’s interests, it must also be structured in such a way that it’s both visually appealing and will rank well in the search engines. Exceptional content will lead your visitors to share more on social media and bring more traffic to your website, which is good news for your business and your bottom line. The goal of SEO is to get your website ranking in the search results so that it can be found by users, and, when they get to your site, for it to be everything they were searching for. Sounds simple, right? Wrong. SEO is a constantly evolving art form that takes continuous trial and error to be a master of. It is a complex process that adapts at the speed of light. A great SEO team is constantly working to stay ahead of the game so that they know all of the latest and greatest SEO practices. What worked six months ago might be completely out of date now. And, while the differences between yesterday and today might be tiny, in this industry, tiny differences can make huge changes. A small mistake could end up tanking your search result rankings, and no one wants that. Here are eight mistakes that you might be making without even realizing it, and expert tips on how to fix them ASAP. Don’t let the scary name spook you; keyword cannibalization isn’t that scary at all, but it can have disastrous results. Keyword cannibalization occurs when two or more pages on your website are competing for the same keyword(s). This can occur when people don’t realize that they have duplicate content or duplicate titles, or even when inexperienced SEO “specialists” optimize multiple pages for the same keyword on purpose, thinking it will make the website as a whole more authoritative, but that is not the case. Keyword cannibalization does nothing but hurt your site. Why? Well, think about it this way. The SERPs are a list; number one, two, three, four, and so on. Logistically, one has to come before the other. Google searches the web and chooses the web pages that are most accurate to the keyword that is being searched in order to rank them. Now, when Google comes across both (or more) of your pages that are for the same keyword, they are forced to pick one to rank. What if Google picks the wrong page? Something you must always remember when dealing with SEO: Google wants their users to be happy with their search results. If a user doesn’t like your website, then Google isn’t going to, either. Another thing that you must consider is that Google is just an algorithm — a machine. It’s not a human brain that can make connections or understand what you are thinking. Sure, it’s extremely advanced, and we think of it as all-knowing, but, at the end of the day, you have to manipulate it to understand your website based on the parts that the algorithm will read. If you have multiple pages that all rank for the exact same keyword, Google might not be able to understand that, and it won’t rank any of your pages. That, my friend, would be a complete disaster. So, what do you do if your website is suffering from keyword cannibalization? There are basically only two options, which depend on your site and your content. The first, you can merge multiple pages if it makes sense to do so. If not, your other option is to un-optimize all other pages except for your main one for each keyword. We touched briefly on duplicate content, but why don’t we go ahead and dive on in. Now, this is somewhat of a controversial topic among SEO experts. Some will tell you that Google does not have a duplicate content penalty. Some will tell you that Google absolutely does have a duplicate content penalty. So, which one is right? In this case, kind of both. Google has come out and said that there is no penalty for having duplicate content on your site, but that doesn’t mean that it is a good practice or that it can’t hurt you. We see this a lot, because it really comes into play with eCommerce sites, which are some of the worst for doing this. Way too many eCommerce sites will take the manufacturer’s descriptions and titles, and then put them on their own site. In my expert opinion, this is an easy topic: Don’t duplicate content. While Google has said that there is no “penalty” for duplicate content, they have also said that they value uniqueness. So, will having duplicate content hurt you? Maybe not, but will unique content help you? Absolutely. Our advice to our eCommerce clients is to have unique categories and product descriptions for everything, and if you have separate pages for size and color, merge them together. Links are golden in this industry. They give your users more information, can help build trust in your authority, and can even build relationships with other people on the web. However, a broken link does nothing. If it wasn’t somewhat obvious, a broken link is a hyperlink that no longer goes to where it was intended. Naturally, over time, links are going to break, and you are going to acquire broken links. Pages go down, sites change; it’s natural. However, if broken links are a natural part of websites, then why the fuss over them? One or two broken links might not kill your rankings, but you don’t want to accumulate a lot of them. No user is going to appreciate clicking on your link, and it then going nowhere. We all know it’s frustrating, and it generates a bad user experience, which is something Google is passionate about. Google and users want sites that work. The good news here is that it doesn’t take much to fix this. Check out Broken Link Checker to find any of your broken links, and take them down; and then keep repeating this every now and then. A little housekeeping gradually over time will help you in the long run. In the SEO world, a redirect is how you forward one URL to a different URL. This sends users to a separate URL from the one they originally asked for. There are numerous reasons that you use redirects, but the main thing to remember is that you don’t want to have the wrong type of redirect. You want to use 301 redirects. These are permanent redirects that tell both the searcher and search engine that a page has been moved permanently. Almost more importantly, a 301 redirect will pass at least 90 percent of its ranking power to the new page. However, you also have 302 redirects, which are temporary redirects. Since Google sees this as a temporary thing, they have no reason to pass on any authority. There are very few times when this should be used. Most of the time, you want to use a 301 redirect, and any 302 redirects that you have could be hurting your rankings and should be changed over. Not only do you want functioning outbound links, you also want to make sure you have internal links to other pages on your website. A lot of websites that I come across don’t do this, which is a shame. Either they think it’s a complete waste of time, or they don’t understand the SEO juice that internal linking can bring. Not only can it help a search engine find more of your pages, but it can also help your users find more of your pages and the information that they might find helpful, which makes them happy. Remember, a happy user, a happy Google. There are several ways that you can link internally. You can use anchor text to point to another site, or you can use links like “read more” or “click here for more information.” Another great way is to have a “related pages” section at the end so that users can see where else they should go. Generally, you want to have about 3-10 internal links per page. Pages that you want to rank higher should have more internal links than others. Also, make sure you do a little housekeeping here. As you add new pages, you want to make sure you go back to older pages and link them to any new content you have. This has been stressed by almost every expert in the game, even Google, and yet websites do this all the time. All of the pages on your website should have unique, descriptive titles. The title is one of the most important SEO aspects that there is. You cannot overlook this. The title needs to reflect what is on the page, not just the same title as all your other pages. Meta descriptions are another aspect of SEO at which many websites fail. Again, these need to be unique. Your meta description is the content that appears under your title in the search results. This is your sales pitch. Having a good meta description can greatly increase your CTR. You have 160 characters to tell the searcher what your page is about and how it relates to them. It needs to be persuasive, unique, and highly descriptive. Today more than half of all searches happen on mobile devices, and, unless something completely bizarre happens, that percentage is just going to increase. With all of this mobile activity, websites need to make sure that they can perform on those platforms. They need to be responsive — automatically resizing to fit whatever device the user is on. Google has even stated that websites can’t be complacent, and they have to update with the times. In today’s technology-driven world, that means being mobile responsive. Again, this all goes back to the user experience. You want those who found your site to be able to access it seamlessly, regardless of what device they are on. Now, we will go ahead and let you know that having a responsive website is a pretty big undertaking. It takes a lot of work on the development side, but, in the long run, it is completely worth it. Let me put this the simplest way I can: A slow website is a terrible website. End of discussion. In today’s technology-saturated and fast-moving world, people want things in a second, and you have about that long to deliver your website to them. It’s generally accepted that a website should load in two seconds or less; any more than that, and the user is going to become frustrated and abandon it. Google wants the web to be functioning at the speed of light, and, if you can’t deliver that, then you could be punished for it. They have previously indicated that site speed is one of the variables in their algorithm. At the end of the day, having a slow website can not only affect your SEO, but your conversions and your bottom line. So, you’ve got to speed it up. Test out your site speed now; if it is too low, then you’ve got some work ahead of you. You can work on optimizing your code by decreasing any unnecessary characters, removing redirects (like I’ve already told you to do), working on compressing large files, optimizing images on your site, or using a CDN. Whatever you do, you’ve got to get your site moving faster to give your users a better experience and to rise in the rankings. Each store has its own rules and protocols that need to be conformed to from usability and UX requirements to payment models. Google Play, for example, will let you change your app from a paid model to a free app, but not vice versa. 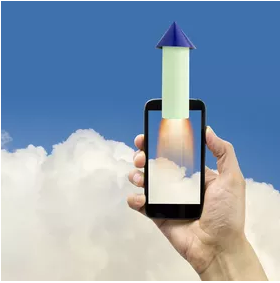 If you’re planning to release an app for both platforms, it may be prudent to focus and fine-tune one platform instead of juggling two or more unless your company has the resources and dedicated split teams to handle such a task. Demo videos are only one part of your content creation process. It’s important to prepare stories regularly leading up to the launch, and then doubly so during launch week. Update multiple times a day letting your users know your product is finally out and ready for them to get their fingers on. The stories should be produced in a video, text and images. Integrate an Applet that lets users rate your app so that you can begin to build a reputation within the developer community. User feedback is the primary way that users decide whether you’re worth their time and can be trusted. Reviews not only drive your downloads but also give you insights into pressing problems that need to be addressed. We constantly hear about the powers of networking with the right people and building social goodwill. Emails are now thought to be things of the past which don’t play a role in marketing or any part of business because people don’t have the time or energy to read through or even open an email. It is almost impossible to believe that cold emails can be effective in today’s hyper-connected world. However, it is a mistake to completely write off this strategy because it will offer results if implemented properly. Important people have busy schedules, in order to win their trust and time, do your research and be concise. Connect a sense of urgency to your offer, try using short words according to customer numbers, time, etc. Email marketing metrics mentioned above depend on a few basic parameters. Optimizing your campaigns means you have to test out a few variations of parameters. Measure these parameters across different recipient groups. They can also help you diagnose any problems in your email marketing. Cold email campaigns can be quite tricky to perfect. Creating effective campaigns come with a somewhat steep learning curve because it involves some research. The good thing is that the tricks are repeatable, learn them once and you will become an expert at cold email marketing. 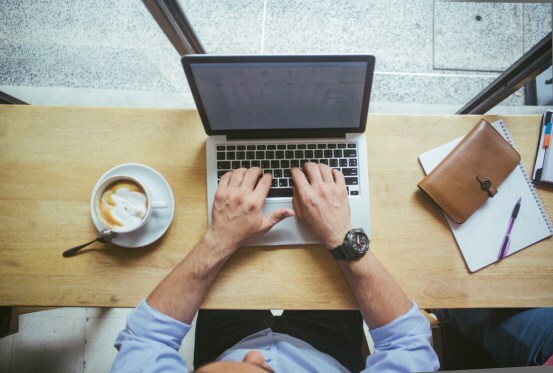 So be sure to use these tips to improve your email marketing strategy and remember that cold emails are effective if done in the right way. What makes an ecommerce business successful? Is it the products you sell, or their price or marketing? Ecommerce industry is continuing its upward trajectory, will continue to do so for some time. But the market is already crowded with a plethora of players and success would be hard to come by with a me too online store. Innovation in product strategy or delivery process is key to success in this competitive industry. Focusing on the 4 PS of marketing – Product, Price, Place and Promotion can give you a starting point to build a strategy that leads you to ecommerce success. Here are some tips that will guide you to success in the competitive world of ecommerce. The days of general ecommerce stores are over. That war has already been won by Amazon and the other major players. If you get into eCommerce trying to become another amazon or eBay, that’s a surefire way to fail. The future of ecommerce is about specialty stores. Stores that specialize in one product category and stock deep. For example if you select eyewear as the category to specialize, stock so many variety for eyewear that even amazon doesn’t have. Become the destination for people looking to buy eyewear online. Since ecommerce business is heavily dependent on technology, Getting the right technology is critically important. Consult with a good ecommerce development company and decide on the platform. For example if you have enough resources, you can go with Magento. But if you want your development maintenance costs to be low you can go with WooCommerce. Whichever platform you finalize you also need to ensure it is fully functional and scalable to meet the demands of a growing business. Your product pricing strategy may make or break your business. Do a thorough research of your competitors and their pricing and decided on your products prices (and discounts) accordingly. If you are in a very competitive category you may have to keep your prices low initially to make a dent in the market. You can run periodic discount offers to attract more customers. But try to strike a balance. Don’t give too much discounts or else customers will start expecting discounted price all the year round. Be it a small eCommerce business or big, you must know your customers and figure out where they hang out. Where they go to buy products and how they purchase. You need to take this step sincerely, because your eCommerce business is centered on your “customers”, what they look for and where they are. This will also help you improve your online store will give you insights on how to reach your target customers. Online promotion is more suitable for ecommerce industry than any other. Since every promotional content will include product links, you have a great way of attracting customers to your online store and increase sales. Focus on organic SEO to increase traffic from search engines but focus equally well on paid promotion methods like PPC advertising through ad networks or social media sites depending on where your customers hang out more. PPC gives immediate sale and as long as your net ROI is positive its just a matter of scaling up your ad spend to grow your business. Assure your customers that your store is a good place to buy products from. Ask for testimonials and feedback’s of satisfied customers. To make your customers review products they purchase you can offer a small discount for their next order if they write a review. Integrate reviews from third party sites to your store to make the feedback look more genuine useful. Get your website audited trusted certification companies like Verisign and show their certificate. Add a ssl certificate to your site to make the payment process more secure. 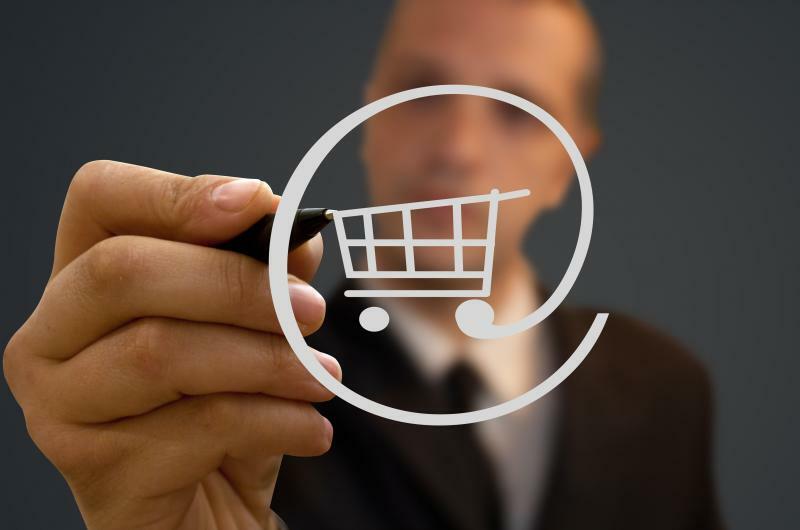 If you want to sell more products, you must ensure that your buyers are not getting irritated, leaving their carts, just because of the long check out process or insufficient information or less than desirable checkout options. These problems can get escalated on mobile devices to make sure to make your online store completely responsive. Apart from removing long check out process, you can eliminate the requirement of creating an account. Also ensure your default shipping option is pocket friendly. You should also include various payment options like credit card, debit card, mobile wallets, net banking, etc. Success in ecommerce industry isn’t easy and would require creative ways to reach your target customers and make them more loyal to you through various means. Online shoppers are notorious for switching store far too often depending on who gives more discount. If you don’t build a brand and engage in price wars with your competitors then you are fighting a losing battle.